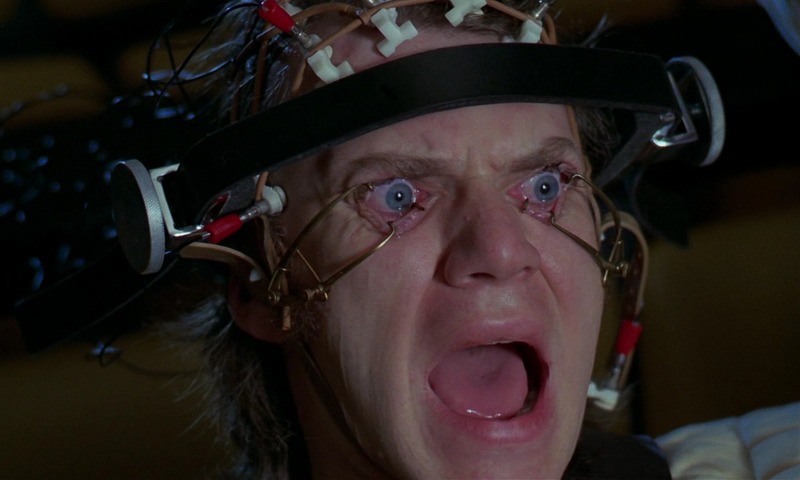 While there are some purists out there who want their favorite stories to always be translated to the screen completely faithfully, the more discerning cinephiles out there know that film is a different medium which often requires texts to be changed through adaptation. Discerning cineastes also know that filmmakers can drop the adaptational ball. Here are ten films that, for better or worse, made significant changes to their source material. Francis Ford Coppola’s Bram Stoker’s Dracula has a title which suggests that it might resemble its source material than previous adaptations. Instead, we get a film that’s about as faithful to Stoker’s novel as Billy the Kid Versus Dracula, or Captain Marvel for that matter. In Coppola’s hands, the everlasting count is transformed from a character named after an epithet of lad the Impaler to being Mr. Impaler himself. Apparently, the guy was bitten by a vampire during the Crusades and changed his identity so he wouldn’t have to explain his immortality to anybody. Then, because that wasn’t enough of a departure from the book, Count Dracula is a hopeless romantic searching for his re-incarnated lady love. Apparently, remaking one beloved Universal monster movie wasn’t enough for Coppola. He also had to remake 1932’s The Mummy at the same time. At least, he did a better job of that than Brendan Fraser and company. Further, more Lucy Westenra being re-written from a sweet virgin to a more sexually voracious gal doesn’t manage to comment on Stoker’s Victorian prudishness – it’s just a comical attempt at titillations in a film with more cynicism than fake blood. Steven Spielberg has spent a lot of his career pretending to be Walt Disney. He directed a Peter Pan sequel, produced Who Framed Roger Rabbit?, started an animation studio, and was instrumental in the creation of the Universal Studios theme park. When he decided to turn Michael Crichton’s novel, Jurassic Park, into a film, he couldn’t help but allow his love of Uncle Walt to seep into the project. In Crichton’s hands, the character of John Hammond was one odious businessman in the Gordon Gecko mold. Spielberg’s John Hammond is Walt Disney with a British accent, a guy with childlike innocence who has a sense of wonder about his own technological marvels. 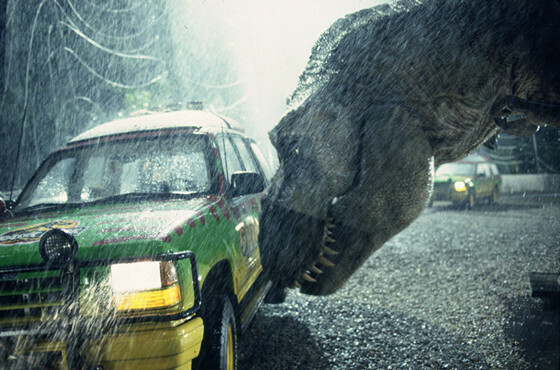 For a popular American novel, Crichton’s Jurassic Park takes a still strikingly critical view of capitalism, with Hammond being concerned with profit at the expense of human lives. For some reason, Spielberg didn’t like the idea of painting a theme park owner as the epitome of greed, so the most vivid character in the novel will never truly make it to celluloid. 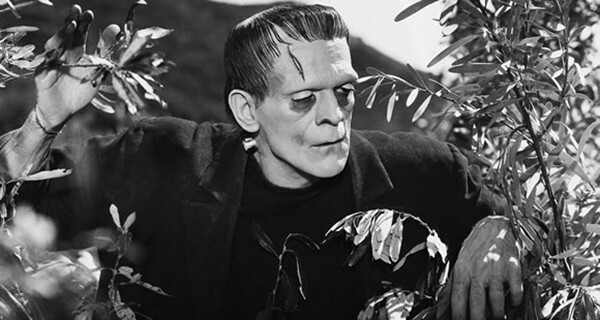 Part of what made Mary Shelley’s novel the most lasting work of Gothic fiction is the ambiguous portrayal of the monster. On one level, the poor creature is deprived, having been abandoned by his creator and mistreated because of his grotesque appearance. On another level, the monster repeatedly deals with his pain by killing innocent people; in a disturbing passage, he snaps a child’s neck simply because the child is related to Victor Frankenstein. This duality where the monster is both victim and victimizer were too much for the black and white moral landscape of Hollywood. As such, James Whale’s version of the creature is pure victim, too stupid to understand his actions or his strength and hounded by bigoted villagers rather than people who righteously want revenge. Shelley’s monster was a real fleshed out intelligent human being while Whale’s is essentially an animal. Whale’s film stands as a classic in its own right due to the sympathy it generates for Boris Karloff’s creature and due to its power, it largely accounts for popular cultures understanding of the Frankenstein story. Most post-Whale film versions of the tale are adaptations of the 1931 film rather than Shelly’s novel, to the point where making a faithful adaptation of the novel would be a creative move. 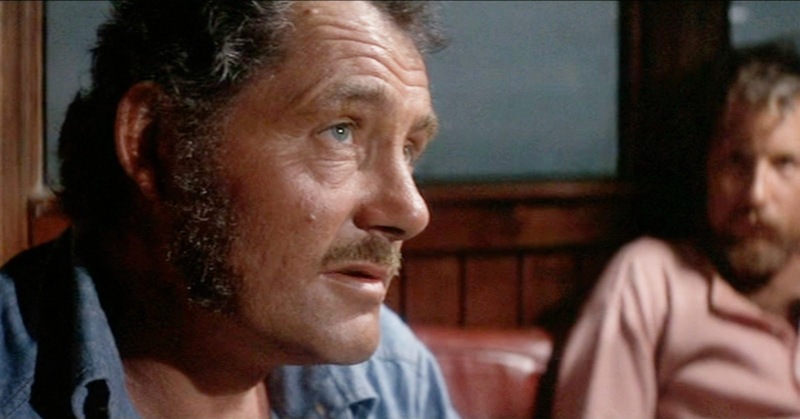 Peter Benchley’s Jaws has a major subplot about Chief Brody’s wife Ellen, an aging beauty queen, having an affair with Matt Hooper, the marine biologist. Benchley never manages to tie this subject into the killer shark shenanigans that take up the bulk of the novel. The subplot definitely worked better as a stand-alone story rather than a piece of a larger narrative. There is a movie which is essentially a feature length version of the adultery subplot from Jaws – it’s called The Graduate. Released a full seven years before Benchley’s novel, it would be a miracle if that film had no influence on Jaws. Did Steven Spielberg and company excuse the subplot from the film because it slowed down the story? because they didn’t want to look like plagiarists? Or both? Regardless, it was a good call. The other significant change that Spielberg and company made to Benchley’s tale ended with the shark dying due to the plethora of harpoons in its s back and sinking to the bottom of the ocean – an eerie image that leaves the reader with a lingering sense of unease. Spielberg, instead, gave the story a proto-Michael Bay ending with the shark destroyed in a glorious explosion. Moonraker is nowhere near the best of Ian Fleming’s original run of James Bond novels, but it is interesting as a slice of Cold War paranoia with the plot centering on missiles and Soviets. Lewis Gilbert’s film adaptation, produced a quarter century after the novel was published, ensnares the atomic bomb scare bandwagon for a trend that has not aged nearly as well the Star Wars band wagon. Eon Productions apparently liked the novel’s title and little else, seeing the book’s name merely as an excuse to get James Bond to go to space and shoot laser guns, The film’s premise is goofy in an unself-conscious sort of way that modern blockbusters rarely are; while Moonraker contains plenty of humor (including a legendary campy ending gag) none of it plays on the absurdity of the film’s premise. What a lovely noncynical time the 1970’s were. As his series of Bond novels became popular, Ian Fleming lamented that they become fodder for middle schoolers when they were destined for adult consumption. 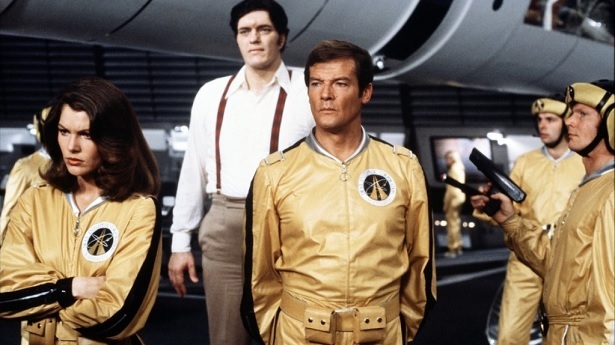 Moonraker is the James Bond franchise at its most middle school, delightfully cartoonish to some and irritatingly sophomoric to others. Eon doesn’t make ‘em like this anymore.